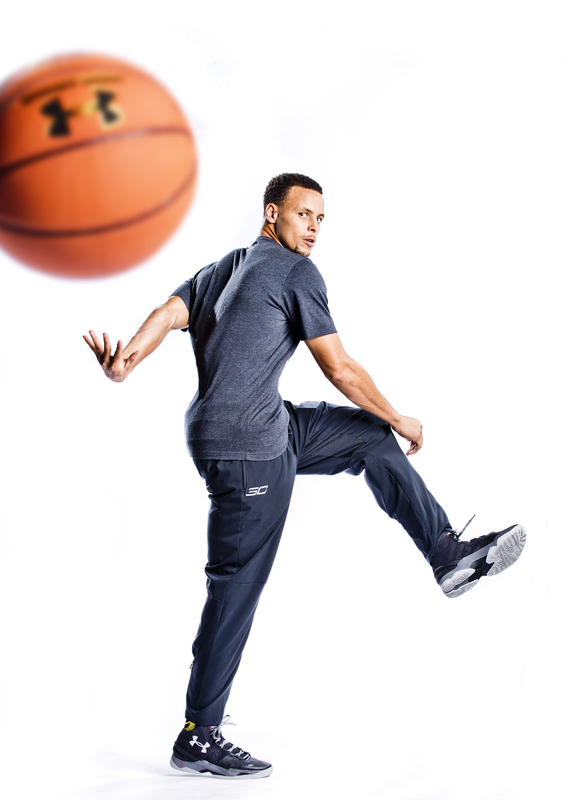 Couple images from a shoot a few months back with World Champion and NBA MVP; Steph Curry of the Golden Sate Warriors. This was my second shoot with Steph, and he's still cool as ever. The second shot was taken during filming of the Foot Locker commercials you've probably seen on tv, and done with all natural light. The first was done on white seamless with 5 strobes. The only place we were permitted to set up our seamless was outdoors. And at the very least, you always have to worry about wind taking up the seamless, or knocking down your strobes. Weather that day said 0% chance of rain. And of course it didn't rain all day, until we were a few minutes into our shoot. Then it just started pouring. Steph wasa good sport about it, and thankfully, we had already got what we needed. Some of my equipment on the other hand, took a small beating. Took quite a while to rip it all down, and get out of the rain. Everything was all good in the end though.These two images are my favorites, but certainly not what Foot Locker/Under Armour used for their store windows/ads.